Loreto won and successfully defended his IBO title yesterday against the crowd and hometown favorite Nkosinathi Joyi at Mdantsane Indoor Centre, East London, Eastern Cape, South Africa. 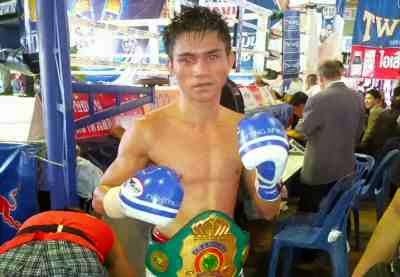 The IBO Light Flyweight Champion Rey Loreto demolished Nkosinathi Joyi for the 2nd time. First at Salle des Étoiles, Monte Carlo, Monaco on February 2, 2014, when he brutally KO Joyi in the 3rd round, and the yesterday March 22, 2015, Loreto's KO Joyi in the very first round of the fight. Loreto, who was illed due to surgery of his swollen appendix last February 2015 was not wasting any time in the first round and connects right hook that stunned not only Joyi but also the fans, referee Tony Nyangiwe allowed to continue the fight but it was too late and Loreto's throws combination to finally referee manage to stop by the fight. This fight had been postponed twice was finally finished and Joyi will probably retire after this defeat.